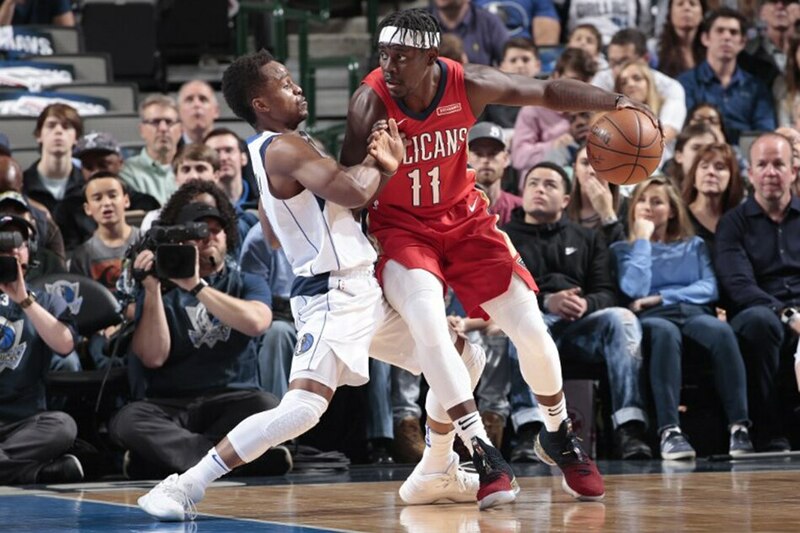 Jrue Holiday scored 30 points and Nikola Mirotic added 24 as the New Orleans Pelicans beat the hapless Dallas Mavericks 126-109 on Sunday at the American Airlines Center in downtown Dallas to capture their eighth straight game. Three other New Orleans players recorded double-doubles as Anthony Davis added 23 points and 13 rebounds, Rajon Rondo hit for 14 points and amassed 10 assists and Cheick Diallo tallied 13 points and 15 rebounds. The Pelicans outshot Dallas 53.8 percent to 44.4 percent and outrebounded the Mavericks 47-43. Dallas has lost three straight and seven of its past eight games. Dirk Nowitzki and Dennis Smith Jr. led the Mavericks with 23 points each, Harrison Barnes tallied 18, J.J. Barea scored 13 points and Doug McDermott added 10. Dwight Powell took 11 rebounds to pace Dallas on the boards. New Orleans led by as many as 19 points before going to the locker room with a 65-49 advantage at halftime. Holiday paced the Pelicans with 19 points in the first half on 7-of-9 shooting while Davis added 12 and Mirotic scored 11, as New Orleans outshot the Mavericks 54.2 percent to 39.1 percent in the first 24 minutes. The ageless Nowitzki had a near-flawless half, hitting five of his six shots and all of four of his free throws to tally 15 points in 14 minutes of court time. Smith added 13 but needed 16 shots to get to that total. New Orleans led 91-78 after three quarters but back-to-back 3-pointers by Nowitzki and Barea capped a 9-0 run for the Mavericks to start the fourth period and pulled Dallas to within 91-87 while attempting to change the tenor of the final 10-plus minutes. The Pelicans promptly scored the next 10 points, with Mirotic hitting for five of those, to establish their double-digit lead. Next up for the Mavericks is Tuesday's battle against Denver, which is the second of the four-game homestand. New Orleans travels to Los Angeles to play the Clippers on Tuesday in the third contest of a four-game road trip.